We understand the stress that comes from breaking down on the side of the road when you are in hurry or falling behind schedule. 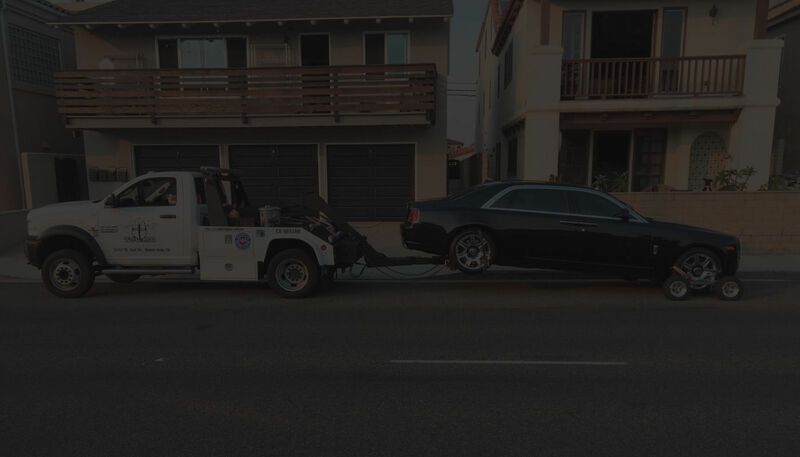 Do not waste valuable time trying to find fast, reliable and affordable towing and nearby roadside assistance. We are your Knight in a shining armor to the rescue! How to bypass any brakes or locks is you lost your car keys? Easy! by lifting two wheels off the ground, this also makes it easier to tow vehicles out of tight spots. safely and securely they are the best choice when you have a low clearance car, classic car, sport vehicles or a 4×4 truck. Do not leave your precious vehicle in the hands of novice towing service; expect the best from someone who shares your passion for sport cars. If your vehicle skid off the roadway and end up stuck in a ditch alongside the road, worry not. Our drivers are your Knight in Shining Armor armed with the right equipment to pull you out of trouble at any given time. Our medium and heavy duty tow trucks are our most useful trucks in our fleet, designed to handle a wide variety of vehicles sizes such as food trucks, semi- trucks, box-trucks, tractors trailers, buses, motor coach,tractor trailer and even sometimes other tow trucks. We will provide you with a truck that best suit your needs, rapidly and professionally. Hassle and drama free! Roaming down the highway is not fun anymore when your bike breaks down the side of the road. Knight Towing uses an easier and safer loading method when it comes to towing your motorcycle. We simply drive your motorcycle onto the trailer eliminating the need for difficult tilt beds or dangerous loading ramps using a motorcycle trailer that drops completely at ground level. Did you know that motorcycle towing, is completely different from regular towing? There are a variety of different tools and equipment that have to be used. Make sure to hire a professional who understands this distinction; otherwise you’re running the risk of your iron horse being damaged by someone who doesn’t understand how to take proper care of your motorcycle.